Description: Aladdin HASP4 dongles emulated is full. Hasp Model Hasp4 M1 USB & LPT. Need Dongle Dump, for this need know dongle PW1 and PW2 codes. 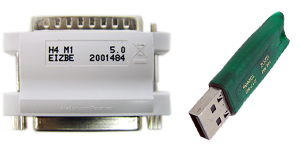 Send us your software we will found your dongle PW1 and PW2 numbers and send with dumper. You can upload software installer Dropbox, Mega, Sendspace, or if you have your FTP. After send me link.